Grandparents' Day at SM Supermalls + Win SM Gift Certificates! It is high time to celebrate and bond with our grandparents! There is no time better than now. I know this because of my own experience, biglaan na lang ang lahat ng pangyayari. So enjoy your time with them while you can! 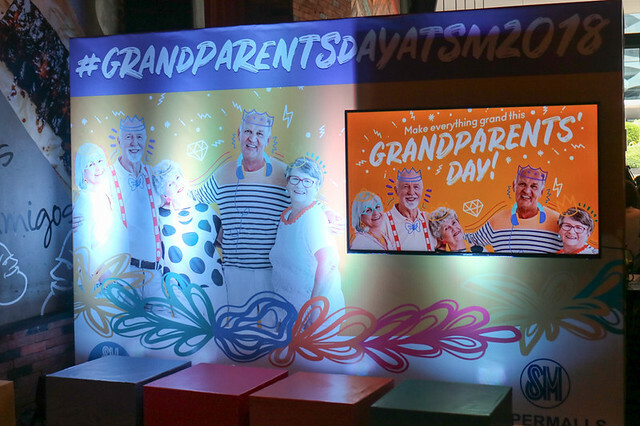 This September, SM Supermalls offers a fun-filled Grandparents' Day celebration where families can pamper grandparents with special wellness offers, dining deals, and gift promos from August 26 to September 9! "SM has always been a place for family bonding moments. This Grandparent's Day, we have prepared a wide range of fun activities that recognize the love and tenderness of our beloved grandparents." says Mr. Jonjon San Agustin, SM Supermalls Senior Vice-President for Marketing. 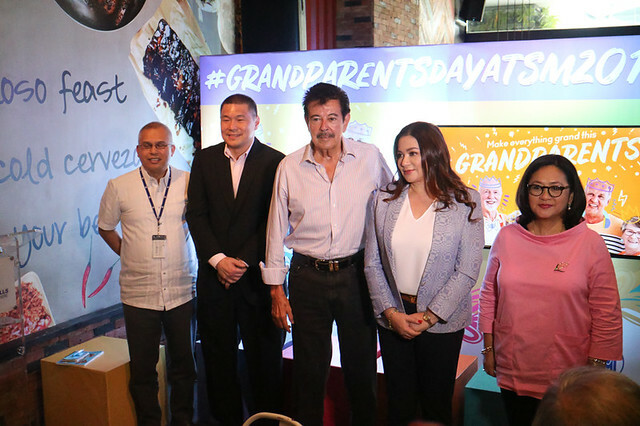 The launch was held yesterday and Celebrity Grandparents Ms. Dina Bonnevie and Mr. Eddie Gutierrez shared some of their stories on how they handle their grandkids as opposed to their own kiddos. While Mr. Gutierrez is the Cool Granpa and Ms. Bonnevie is an encouraging disciplinarian in their teaching styles with the kids, both are in agreement that when it comes to bonding, SM is the best place to go! Well you have everything in there! From Food, toy shopping, cinemas and even more! Treat them with their favorite dish and delight our grandparents with Grand Treats - favorite eats and dishes from participating restaurants in SM malls until September 9. Accompany them to mass. Praying or going to mass together is one of the best bonding moments between lolo and lolas and their apos. Grandparents and grandkids can attend a mass celebration with Special Blessing for grandparents on September 9. SNAP some SHOTS! 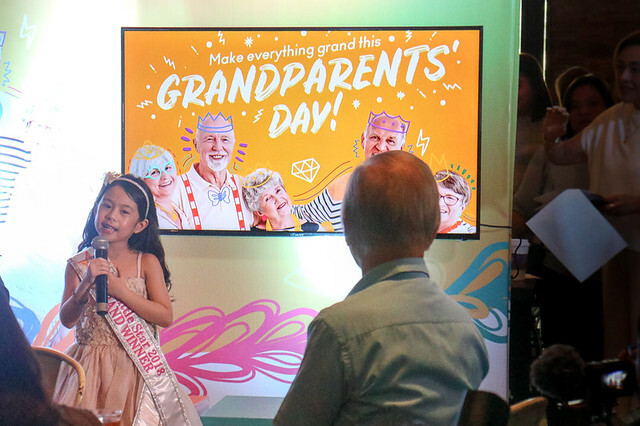 Lolos and lolas can take snaps with families at the Grandparents Snap augmented reality family booth until September 9, where they can enjoy fun technology and keep these wonderful memories with their loved ones forever. Enjoy a concert. 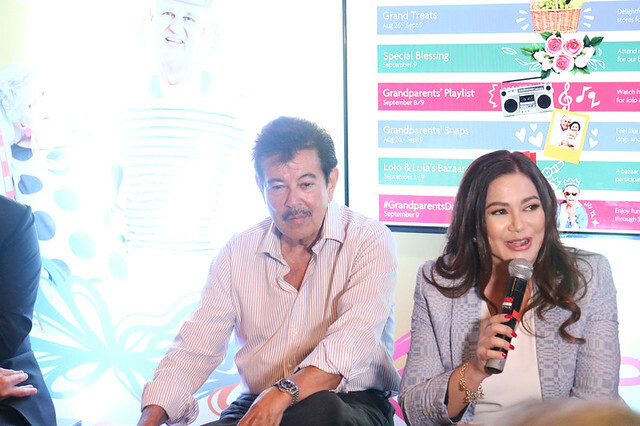 Grandkids can bring their grandparents to watch heart-tugging performances by talented apos at SM's Grandparents Playlist event on September 8 and 9. Gather the whole family this Sunday at SM to give grandparents and grandchildren opportunities to connect and play to their heart's content. Plus WIN yourself up to 5,000 SM GCs! As part of SM's #AweSM 60 years celebration and Feast Month this September, customers will also experience a fun weekend of #AweSM dining deals and treats from participating restaurants from September 21 to 23 in SM malls all over the country - where mallgoers can experience 60-themed deals, pay only 60%, less Php 60.00, or pay only Php 60.00 on #AweSM items. 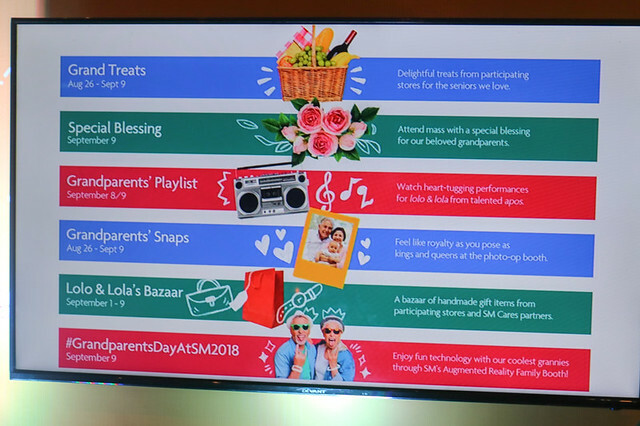 Visit smsupermalls.com and join in the #GrandparentsDayAtSM2018 Digital Promo for a chance to win P5,000 SM GCs!